Sony A6300 check the connecded mcc-b cable? 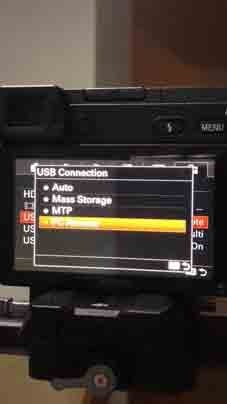 Ok, if choice pc remote usb on sony, connected successfully, and works Start/ Stop recording only, not even the focus. Are you saying you got it to work using the MCC-B cable? What exact settings/method did you use? It joke that the cable is purchased separately? How do I buy the cable from Chile? Is it possible to buy from http://djistore.cl/ ? this will be the official cable for sony? 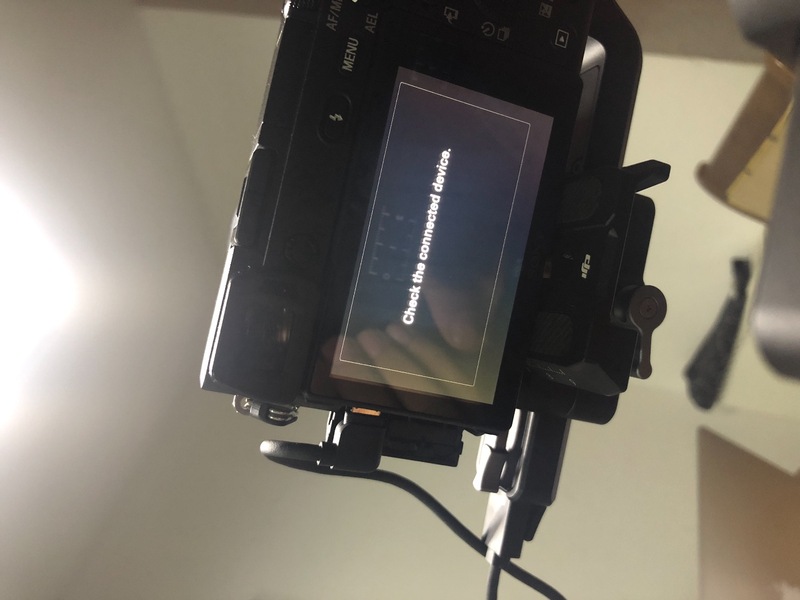 Hi Sam, RSS-IR can be used to control the Sony A7 III, if you would like to use the USB shutter control, you will need to purchase the Multi-Camera Control Cable (Multi), thank you. The Multi-Camera Control Cable (Multi) was just released, it may take some time to be available in other channels, you can try to confirm with local resellers when they will have it in stock: https://www.dji.com/where-to-buy ... ite&from=footer Sorry for the inconvenience caused. The Multi-Camera Control Cable (Multi) was just released, it may take some time to be available in other channels, you can try to confirm with local resellers when they will have it in stock: https://www.dji.com/where-to-buy/retail-stores?site=brandsite&from=footer Sorry for the inconvenience caused. Hi H W, Sony camera can be used with Ronin-S all the time with the RSS-IR cable, we just released the USB cable control for better experience, if you would like the USB shutter control, the MCC-Multi will need to be purchased separately, appreciate your understanding. You never told anyone that they would have to purchase another cable or have to wait another month, False advertising. pathetic and illegal. Hi hazz, I understand your feeling, your concern has been escalated to the management department for attention, sorry for the unpleasant experience with us. What&apos;s the difference between MCC-B and MCC-Multi? since the MCC-B fits physically? So, does this user get lucky enough to be able to start/stop recording with the MMC-B cable just because it&apos;s a Sony A6300? In my case, using either A7s & A7s II; with all firmware&apos;s updated (camera and ronin-s) all I get is the camera to be powered (PC remote mode connection). The gimbal motors even shut down when powering the camera making them useless. I know that I could just purchase the MMC-MULTI cable but I just want the record button to run. All other controls are not initially in my interest. I&apos;ve been searching for a clear explanation on this for two days now, I don&apos;t understand why this is so confusing, can you please answer the following questions clearly. Is MCC-B cable supplied with the Ronin-S is the same as so called MCC-Multi ? Is first one the same cable which is included in the box? Are you saying that purchasing the second cable will enable focus wheel on Sony A6300 ? Definitely false advertising! 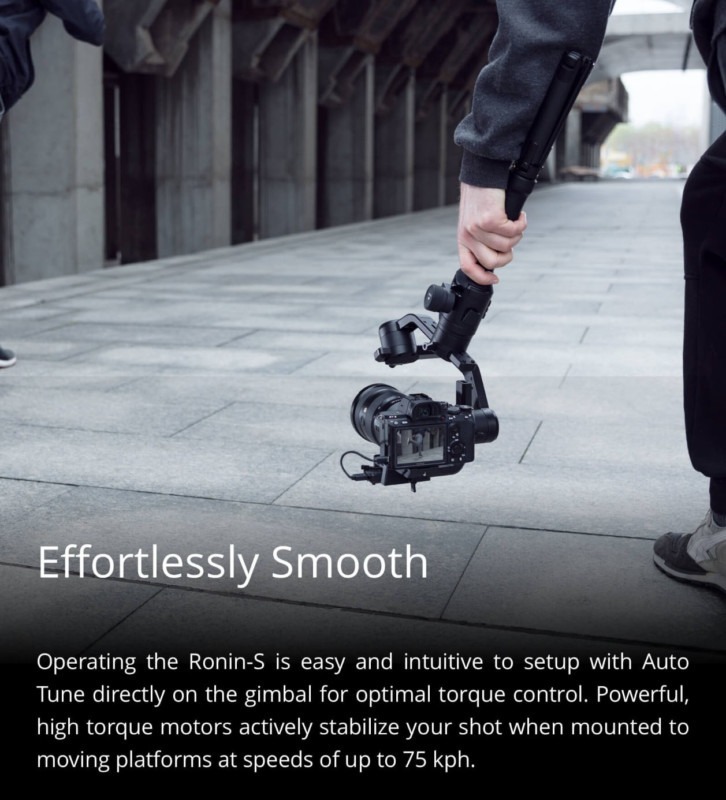 I was super excited to receive my Ronin-S but after finding out that it doesn&apos;t work with my sony a7r III.I attached the image below... I DO NOT see an IR Cable... I do see a cable that connects to the Micro USB port. For all the Sony users trying to get the Ronin S to talk to the Sony camera, You need the cable in RED. It looks identical to the cable that comes with the Ronin S.
I just received my Sony cable and it works just fine on my a6500.